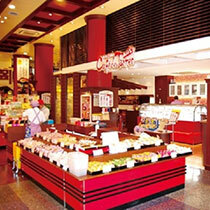 Only 3 minute walk from Kencho-mae monorail station. 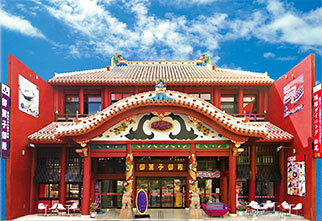 Cardinal castle that stands on Kokusai street will catch your eyes. 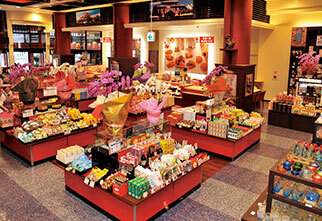 Grab your souvenirs here for your family and friends!With red tile roof that stands out on the busy street, you can go back in the time of the Ryukyu dynasty. 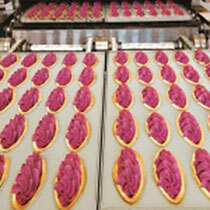 Original Beni-imo tarts are made in the line factory where you can get to see its final process of manufacturing through the window in the shop. 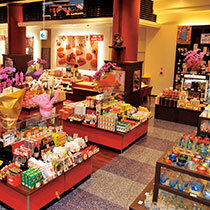 Other souvenirs such as traditional craft and Awamori are available as well. If you would like to spend some special nights in Okinawa, then step up the stairs for delicious local dishes accompanied by free okinawan guitar music live bands! You will get our original shopping bag with your purchase of ¥3,000 or more! 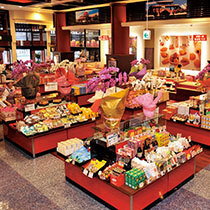 Our various kinds of original sweets made with local ingredients such as Beni-imo sweet potato and brown sugar are lined up in the spacious shop after being made at our own factory. Although the shop scale is a little bit smaller than other chains up north, you get to see the final process of how our speciality Beni-imo tarts are made through the window here! 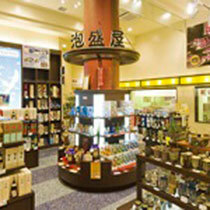 Variety of Okinawan liquor Awamori from each factory on the island are good for souvenirs! 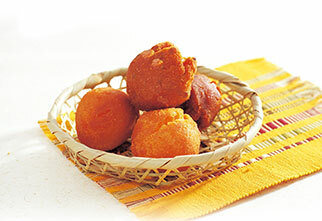 Taste-testing is available as well! 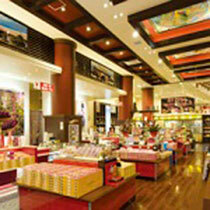 Cultural ceramic/porcelain crafts such as Shisaa and Ryukyu glasses. 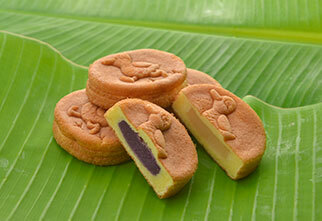 We also have key-chains for cell phones and local original goods. 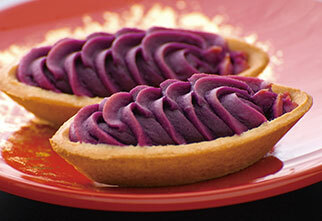 You can have freshly made Beni-imo sweet potato pies! 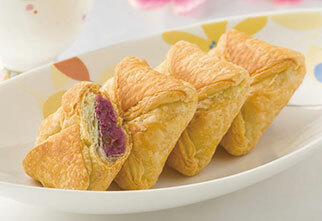 Gorgeous flavor and crispy pastry are only available here! 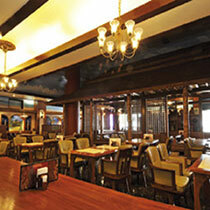 Ryukyu dining Matsuo offers Okinawa dining experience enhanced by the stars on the ceiling and relaxed atmosphere. 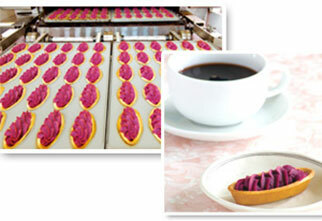 ★One free tart with your any purchase. 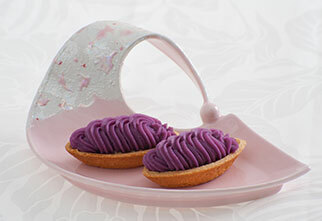 ★One free tart plus a cute beni-imo key-chain with your purchase of ￥3000 or more. Please give the coupon to the cashier.